Pearland residents come together over death of autistic boy. PEARLAND, TX (KTRK) -- When 9-year-old Marcus McGhee went missing Thanksgiving afternoon, Pearland quickly poured out its heart. Michelle Torres was just one of the many searching for the boy with severe autism. Pearland Police Department is asking for help in finding a missing boy with autism. Late Thursday, the Coast Guard was brought in to assist in the search. "I wish it was a different outcome. I wish we could have found him. I know there were so many people looking for him," Torres said. "It's very hard, because I have three kids. I wouldn't want that for my kids." Their hope faded Saturday when they found the child dead. 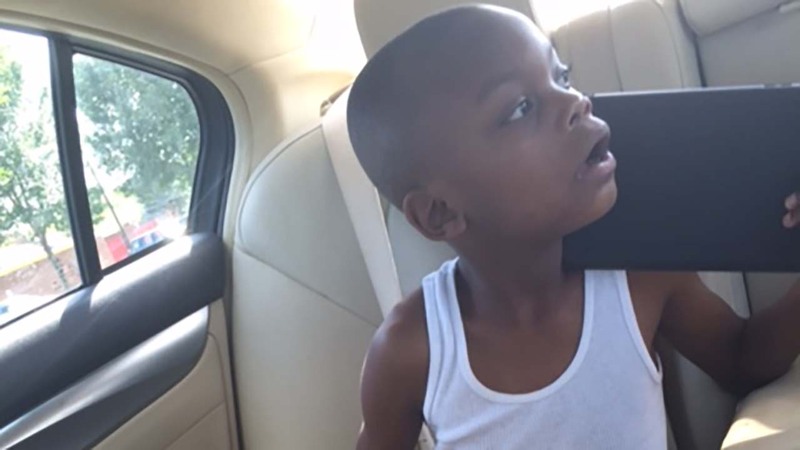 Pearland Police say they have found the body of a missing boy with autism. Torres stopped by the growing memorial Monday afternoon. "It was a 'Wheels on the Bus' book," Torres said. "I went to Barnes and Noble just in memory of him. We played the song. We looked for him on Thanksgiving." Eyewitness News has learned more about who found the boy. "One of our investigators just happened to be walking near the pond behind the house, glanced down in the water and saw him there," Lt. Onesimo Lopez with the Pearland Police Department told ABC13. Lopez told Eyewitness News that in his 22 years with the department, he has never seen such a community response. Police said an autopsy was performed on Marcus' body Monday, but they are calling this a tragic accident. The family has asked for their privacy but have expressed their gratitude to the public for coming out and trying to find Marcus. McGhee is the relative of former NBA star Marcus Camby.